Port remains one of the great mysteries of wine – usually very expensive and bought by a very limited audience, and mostly unknown to almost everyone else. Which is a shame, because well made port should please almost anyone. 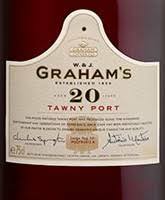 Great ports, like the Graham’s 20 year-old Tawny, are even more appealing. The Graham’s 20-year-Tawny ($65, sample, 20%) is a step above even a lot of top-notch port – incredibly subtle and sophisticated, with layers of flavor that go well past the usual caramel and nuttiness. There is almost a tea-like flavor, as well as hint of baking spices and a kind of toffee instead of the caramel. And, despite the high alcohol and residual sugar, it’s not even especially sweet or especially hot. That points to quality winemaking, not always easy to do given the complexity of port. In this, it shows how futile it is to cut costs in an attempt to make a mass market port, several of which I’ve tasted with regret over the past couple of years. It’s like the difference between cheese food slices and aged cheddar cheese; what’s the point? Highly recommended. And the good news, even at this price, is that one small glass of the Graham’s 20-year-Tawny Port is usually sufficient. So the bottle will last three to four times as long as a table wine. The Wine Curmudgeon likes port. I just don’t drink much of it, mostly because the price/value ratio is completely out of whack. Too much cheap port – and that means anything less than $20 – is not worth drinking. So when I find something like the Kopke tawny port ($13, purchased, 19.5%), I run to the keyboard as quickly as possible. Port has its own vocabulary and can be quite complicated, but don’t let that intimidate you. Know that it’s a dessert wine, sweet but balanced, and that a little goes a long a way thanks to the high alcohol. A couple of small pours after dinner can make a terrific meal that much better. The Kopke is amazingly well done for the price, and I didn’t expect nearly as much as it delivered. This is another example of a simple, well-made wine that doesn’t try to do more than it should. Look for fresh red fruit, some dried fruit (plums? ), brown sugar sweetness, and just a touch of oak to round it out. You may also notice a sort of nutty aroma, which is typical for well-made port. I’d open the bottle well before you want to drink it; it actually gets rounder and more interesting after being open for a couple of days. Highly recommended, and especially as a Father’s Day gift. And, if I expand the price range for the 2017 Hall of Fame, the Kopke may well get in. Dessert wine is the great mystery of the wine business, usually associated with “dotty old ladies or rich men with English accents,” as I wrote in the current issue of Bottom Line Personal (which has bought quite a bit of freelance from me lately). Give that I have done very little with dessert wine over the blog’s history, this piece gives me an opportunity to correct that oversight.
? The most common dessert wines are ports from Portugal and sherries from Spain, but dessert wines are made wherever wine is produced, from Australia to Canada to Hungary. Port and sherry are made with wine grapes, though port uses red grapes and sherry white. There are dry sherries, such as fino, but all port is sweet.
? International law doesn ?t allow most ports or sherries made anywhere else in the world to be called by those names, so non-Portuguese ports and non- Spanish sherries will be labeled as ?dessert wine, ? ?port-style, ? ?sherry-style ? or something similar.
? The production techniques for port and sherry are much more complicated than those for table wine and involve long aging (often years) and the addition of brandy or other alcohol to fortify them. That ?s why they ?re also called fortified wines.
? Dessert wines aren’t cheap, and some, like Sauternes, can cost hundreds of dollars (which may explain their absence here). But since a dessert wine serving is less than a table wine serving, one or two small glasses of port or sherry or whatever are more than sufficient. That means a $20 half-bottle can be the equivalent of a $10 or $15 full bottle of table wine. This is one of the most expensive wines ever reviewed on the blog — $50 for a half bottle, assuming you can find it. Icewine requires bitterly cold winter temperatures, and the past couple of winters have been so mild that not much has been made. Hence, this is the current vintage, and there isn't a lot of it left. Icewine is made from grapes that are left to hang on the vine and only picked on the coldest day of the year. Leaving the grapes on the vine concentrates the sugars, just like a raisin. Picking the grapes after they freeze concentrates the sugars even more. The result is a dessert wine of amazing qualities, somehow very sweet and yet also balanced. 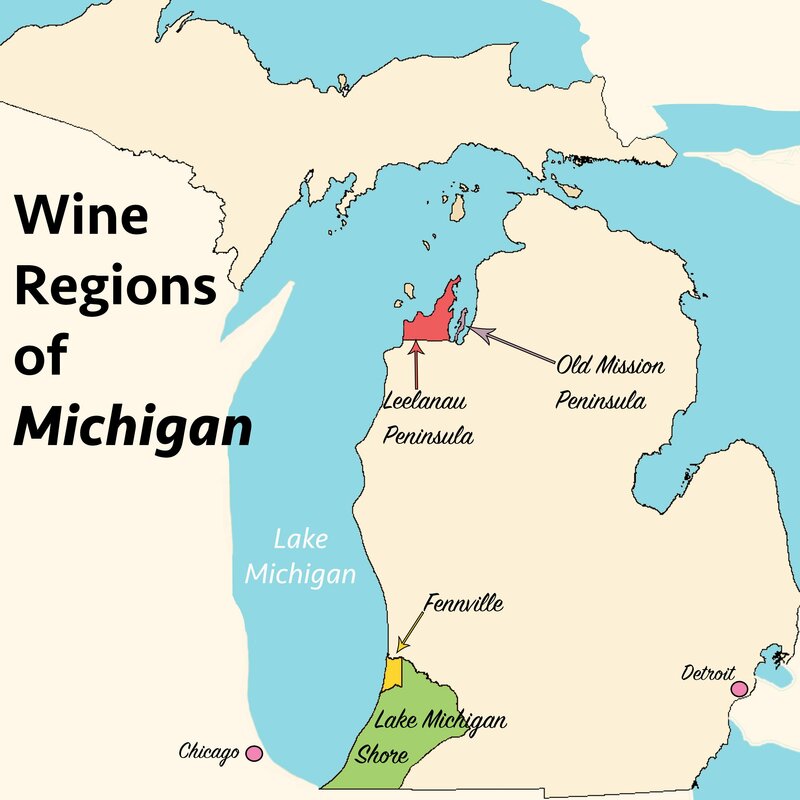 The residual sugar is 24.2 percent, about eight times that of white zinfandel. So the equivalent of $100 a bottle for the Inniskillin (sample), one of the world's top producers, is not as ridiculous as it sounds. This vintage, made with the vidal grape from Canada's Niagara region, is a stunning wine, sweet and luscious and rich and overwhelming. A couple or three sips are almost enough; swish the wine slowly around in your mouth before you swallow, and savor the way the apple, pineapple, and honey flavors blend together. Some people claim they can pair icewine with food — cheeses and berry desserts. But, frankly, there's no need. If you're lucky enough to find some, drink it slightly chilled as dessert, and make the bottle last as long as you can. It will be worth it.
? Charles Krug Sauvignon Blanc 2008($18): Always quality California-style sauvignon blanc. This year's vintage is more French in style, with lots of minerality and muted fruit.
? Prazo de Roriz 2007 ($16): Lots of black fruit and quite rich, which makes it a nice food wine for everything from barbecue to fancy dinners. A step up from most $10 Portugese red wine blends.
? Jackson-Triggs Vidal Icewine Proprietors' Reserve 2006 ($20 for a 187-ml bottle): Ice wine is one of the world's great guilty pleasures, and this is no exception. It's dessert wine, so it's honeyed, rich and luscious, but the sweetness is much more than just sugary. Port is little known in the U.S., and those who do know it figure it to be sweet, sticky wine preferred by old ladies with cats or harrumphing English gentlemen. The Sandeman (about $30, sample) is a good place to start to deal with both of those dilemmas. At $30, it's not as expensive as its big brother, the 20-year-old, which runs about $45. In addition, it offers classic port flavors like raisins and vanilla, with a wonderfully long pecan finish and a fine balance between the sweetness and its other characteristics. It's not sweet for sweet's sake, like a soft drink, but sweet in the way that a well-made dessert is. Which makes sense, because port is first and foremost a dessert wine. There are suggested dessert pairings, including cheeses, but port is almost better on its own, served slighty chilled.